Using decentralized control structures for robot control can offer a lot of advantages, such as less complexity, better fault tolerance and more flexibility. 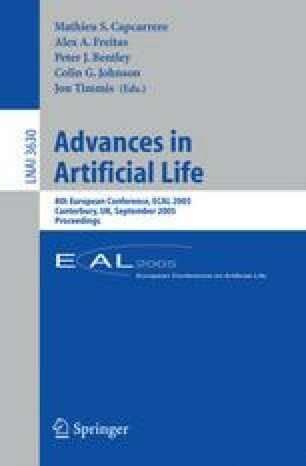 In this paper the evolution of recurrent artificial neural networks as centralized and decentralized control architectures will be demonstrated. Both designs will be analyzed concerning their structure-function relations and robustness against lesion experiments. As an application, a gravitationally driven robotic system will be introduced. Its task can be allocated to a cooperative behavior of five subsystems. A co-evolutionary strategy for generating five autonomous agents in parallel will be described.